Sadly, I have never made a purchase from our friend Citizen Patrick. 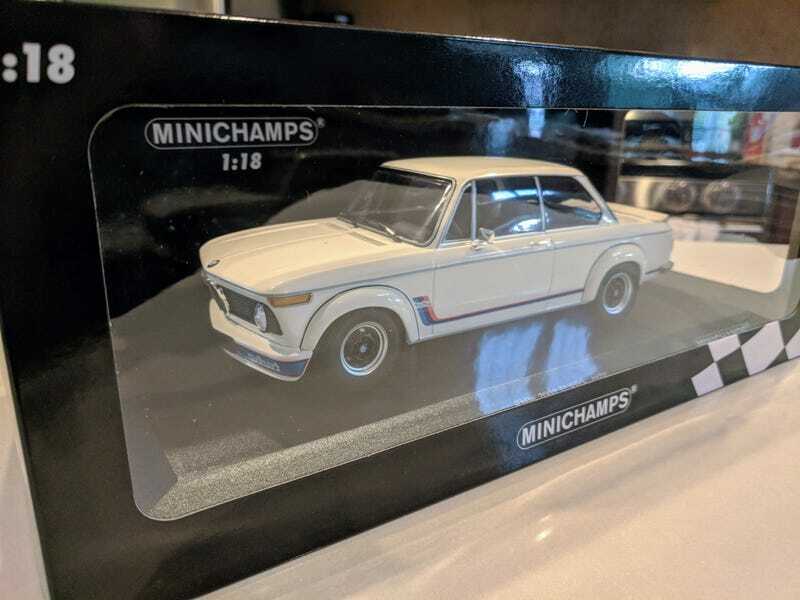 I typically don’t buy new, but when I heard that Minichamps was releasing a 2002 Turbo, I decided it was time to take advantage of his “concierge” service. Yes I know, its a sealed diecast model, and we’re all very upset about that. But, consider the prices of the AutoArts and the Kyoshos of this car, they’re basically a lease payment on a 1:1 BMW. Even the old Anson casting is hard to come by for less that $100. I’ve seen this bad boy popping up here and there on clearance, making it really tempting to blow my monthly budget. Of course, Patrick beat his competitors’ prices and I placed yet another order with him!